New research from the University of Sheffield’s Department of Biomedical Science suggests that low-intensity ultrasound can reduce healing times for skin ulcers and bedsores by a third. According to the study, published in the Journal of Investigative Dermatology, the ultrasound transmits a vibration through the skin that wakes up cells in the wounds to speed up the healing process. The treatment doesn’t carry the risk of side effects that are often associated with other drug treatments. The ultrasound treatment is especially effective when treating diabetics and the elderly. Study researchers are hopeful that if they can figure out how to strengthen the ultrasound signal, they can refine the treatment. Currently, a quarter of diabetics suffer from skin ulcers mainly in the foot, because they lose the sensation and circulation in the legs. 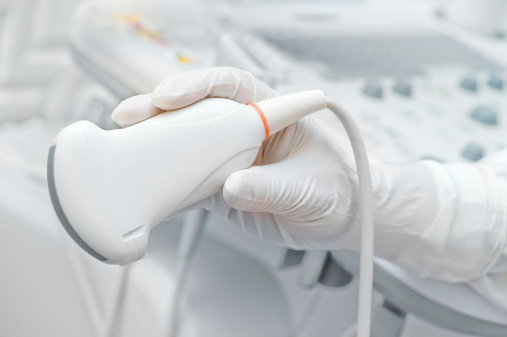 Researchers believe that ultrasound treatment is relatively risk-free, which paves the way for a broader clinical study. University of Sheffield, “Ultrasound accelerates skin healing, especially for diabetics and the elderly,” Science Daily web site, July 12, 2015; www.sciencedaily.com/releases/2015/07/150712203837.htm.